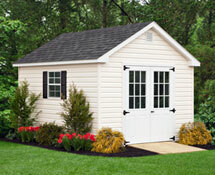 Affordable Storage Sheds for Sale in CT! 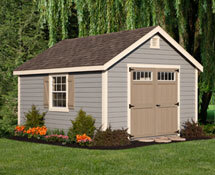 Need safe, weatherproof storage sheds in Connecticut for all those things that just don't have a home? 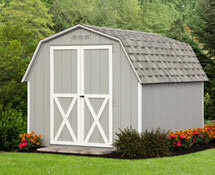 At Walsh's Country Store we have stylish sheds for sale to suit all your storage needs. Get bicycles off the lawn or out of the garage, store lawn furniture between seasons, give your garden tools and mowing equipment a home, and store kids sporting equipment, pool toys and much more. The possibilities are endless. 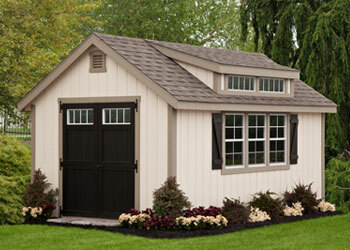 Plus, when you work with Walsh�s Country Store, you get the most competitive pricing for storage sheds in Connecticut! 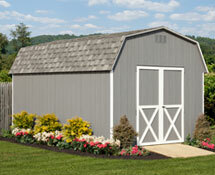 If you find another retailer selling sheds in the CT area offering better pricing, we'll match it or beat it. That's our guarantee to you! 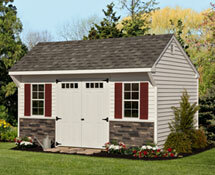 Visit our showroom to see our storage sheds in Seymour, CT. We have the best selection and pricing around! 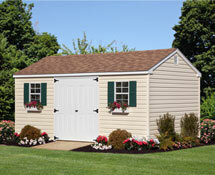 Need to store a boat, classic car, trailer or ATV? 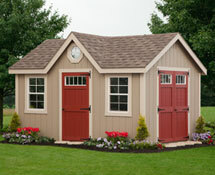 Our larger sheds can easily become garages to store all your "toys" in style. Are you an avid gardener that would love to build the perfect potting shed in Connecticut? We can help you create the perfect place to enjoy your passion while keeping all your tools and supplies close at hand. 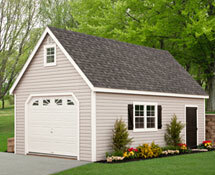 Need a cupola for your shed or garage? 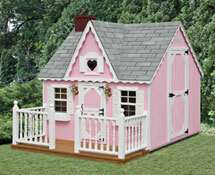 See our Lawn and Garden section for more.